Joseph O Loughlin appears to have the perfect life – a beautiful wife, a loving daughter and a successful career as a clinical psychologist. But nothing can be taken for granted. Even the most flawless existence is only a loose thread away from unravelling. All it takes is a murdered girl, a troubled young patient and the biggest lie of his life. Caught in a complex web of deceit and haunted by images of the slain girl, he embarks upon a search that will take him from London to Liverpool and into the darkest recesses of the human mind. Ultimately, he will risk everything to unmask the killer and save his family. 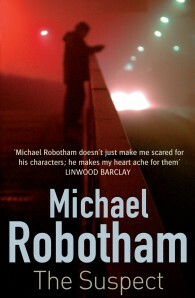 Michael Robotham has twice won Australia’s Ned Kelly Award for best crime novel, for Lost (2005) and Shatter (2008). He was shortlisted for the CWA Steel Dagger in 2007 and 2008. His bestsellers have been translated into twenty-two languages, and have been praised by David Baldacci, Val McDermid and Stephen King.